Get started with social media with these 10 tips to guide your first steps. Are you tired of hearing about social media and doing nothing? Are you ready to check out for yourself what all of the fuss is about? Do you feel overwhelmed and unsure where to start? 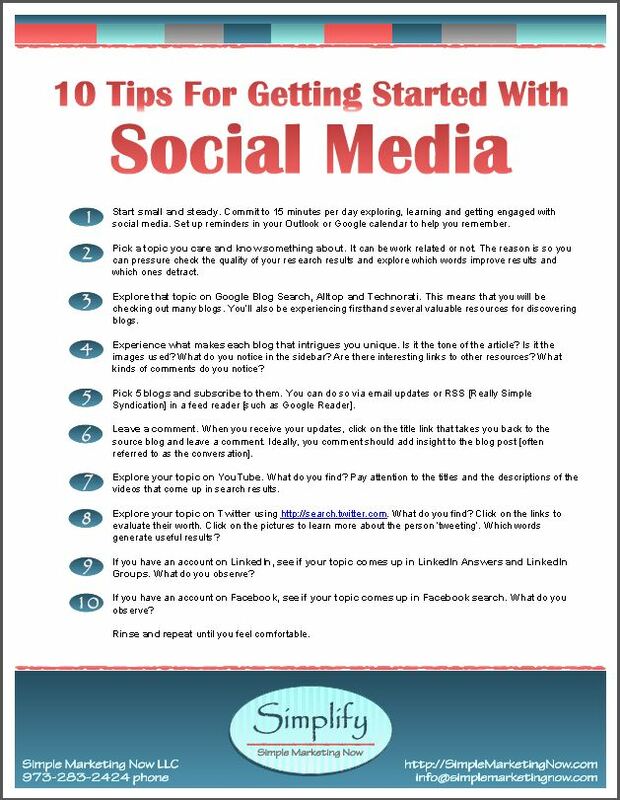 These 10 tips will guide you as you get started with social media. Tip #1 recommends starting small. Simply carve out 15 minutes per day and you will have taken the most important step to getting started. Take control as you explore how social media tools can benefit you and your business. Just fill out the form on the right and you'll have in hand a guide for navigating through getting started with social media! Download Your Getting Started Tips!